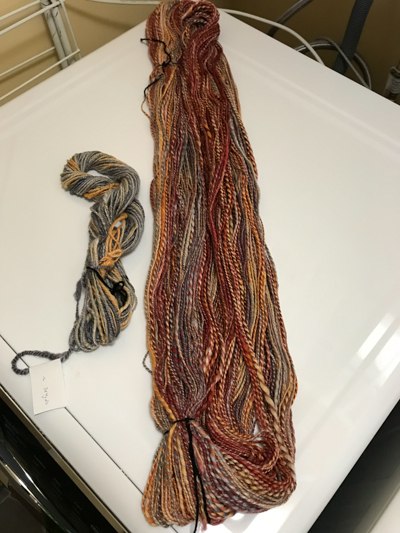 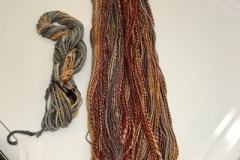 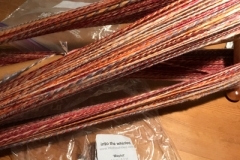 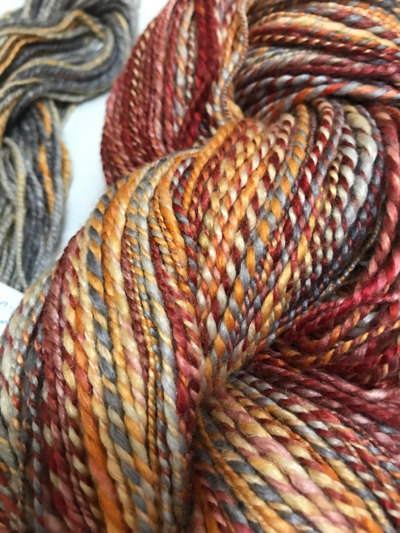 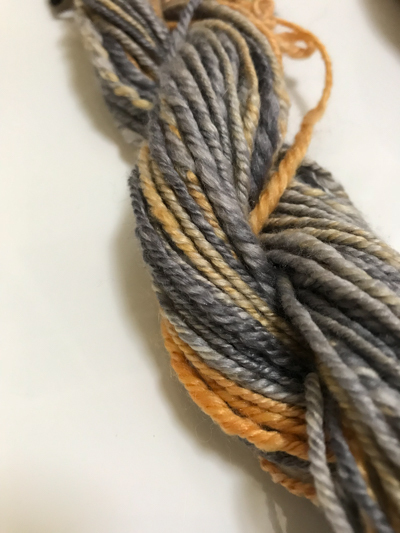 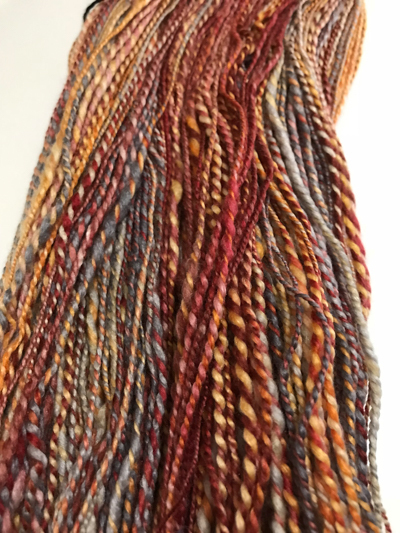 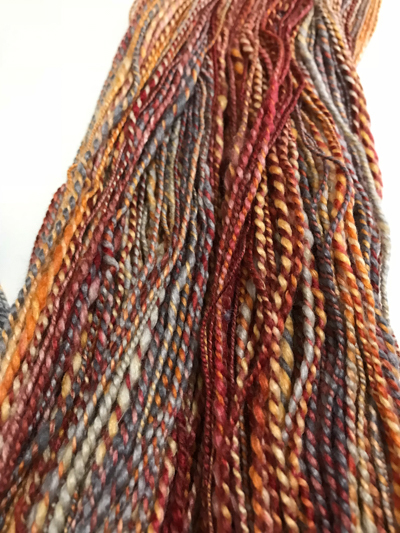 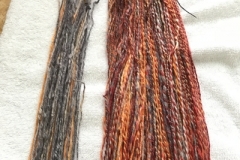 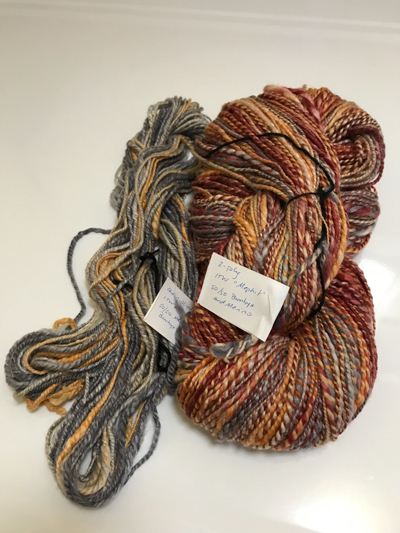 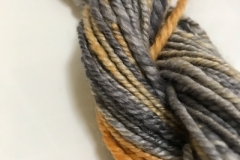 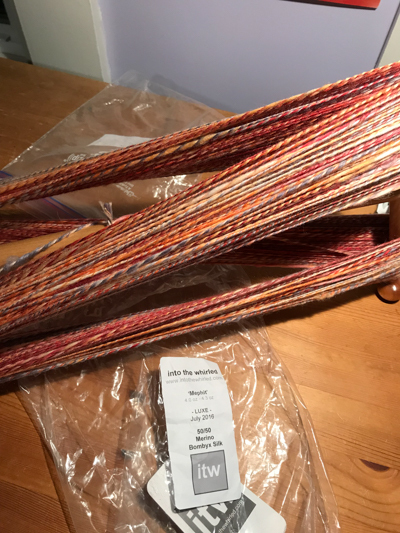 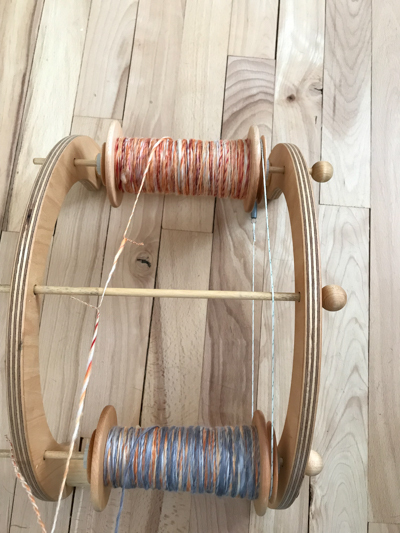 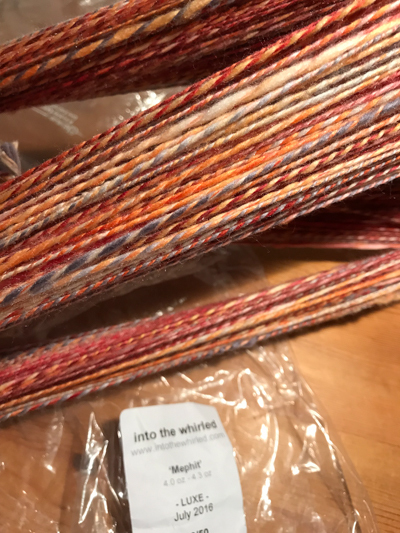 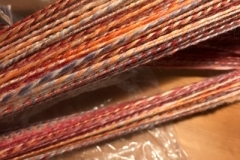 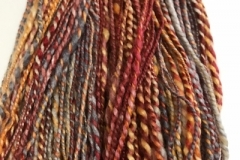 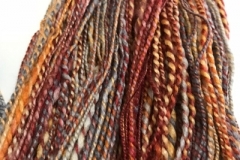 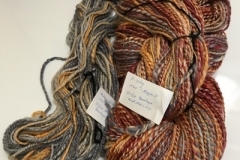 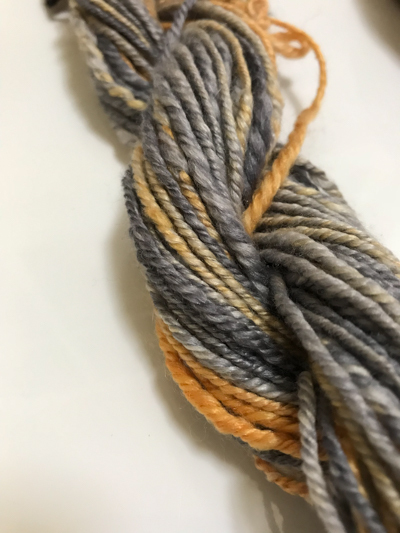 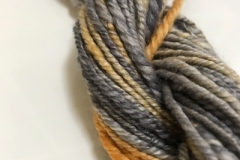 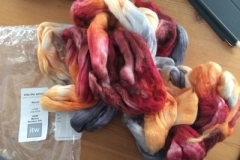 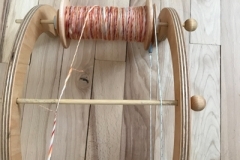 I split the top in two at the midpoint, and spun each half as a single, long draw, then plied. 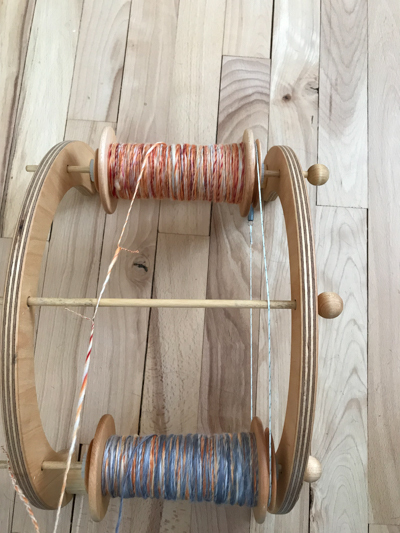 My spinning was (still) pretty uneven, so the first single was considerably longer than the second. 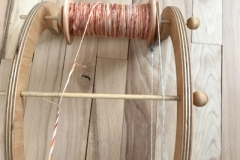 That extra bit was chain plied. 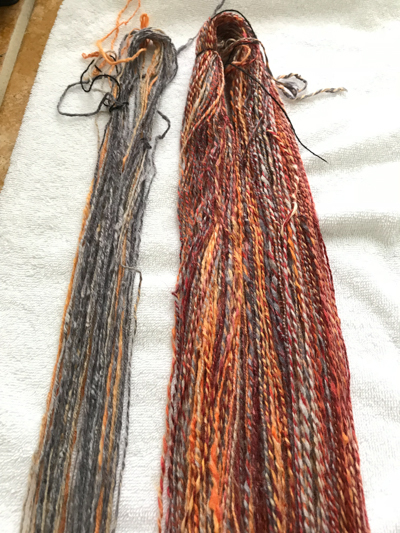 A bit heavier than sock weight, in the end. 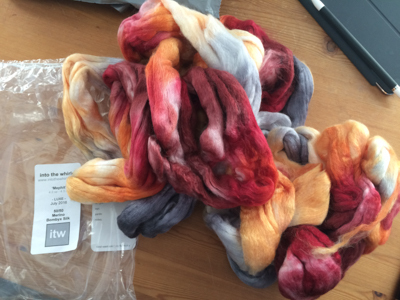 Also, since it’s 50% silk, it’s not very elastic. 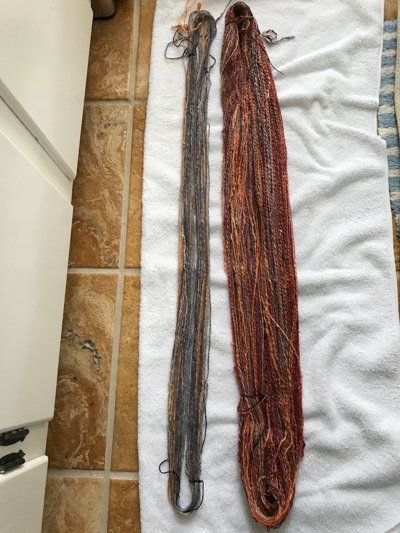 Probably should have done a short forward draw and made it intentionally smooth and shiny. 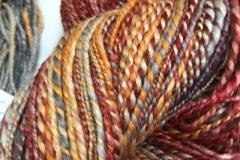 I have to say — at 50% silk, it was delightfully soft to work with! 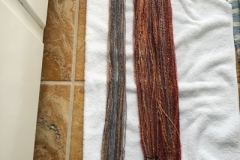 And, the resulting yarn is quite soft and drapey, too.